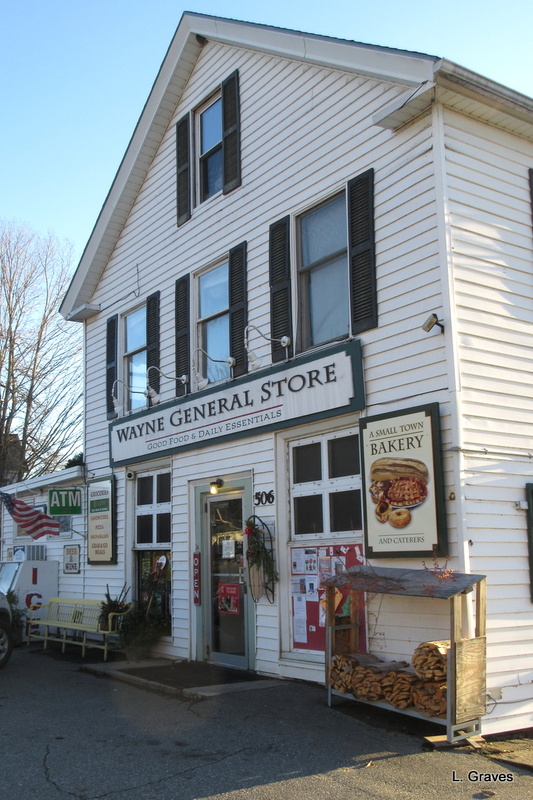 Wayne, Maine, is a little village about ten minutes away from Winthrop. (Wayne’s population is circa 1,100. ) Like most towns in this area, Wayne is surrounded by ponds and lakes. Wayne might be small, but with its old houses, mostly white, lining the main street, the village has maintained a classic New England look and is very lovely. Established in 1798, Wayne got its name from Revolutionary War General Anthony Wayne. 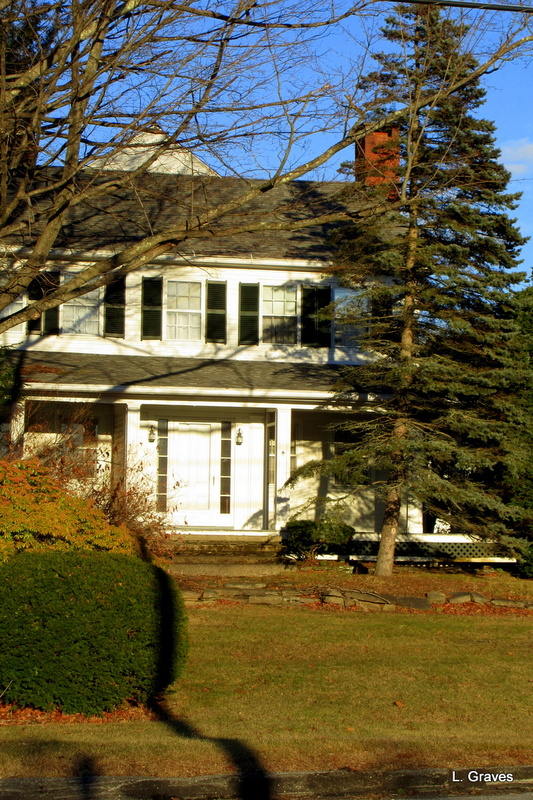 Here is a picture of one of Wayne’s charming old homes, white of course. A view across the millpond, of more white houses. 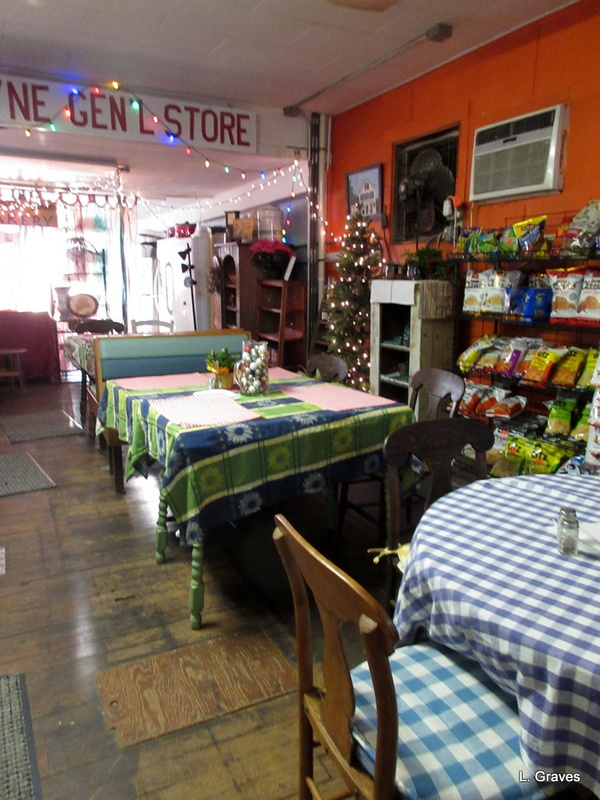 A general store, also white, that provides the town with a warm center. Inside the store is a very inviting place to have a bite to eat. And finally, for my blogging friend Tootlepedal, a picture of a drain in Wayne, Maine. This surely must prove that we bloggers can be a very silly bunch. I lived in Wayne for a short time; it was a wonderful place to be! 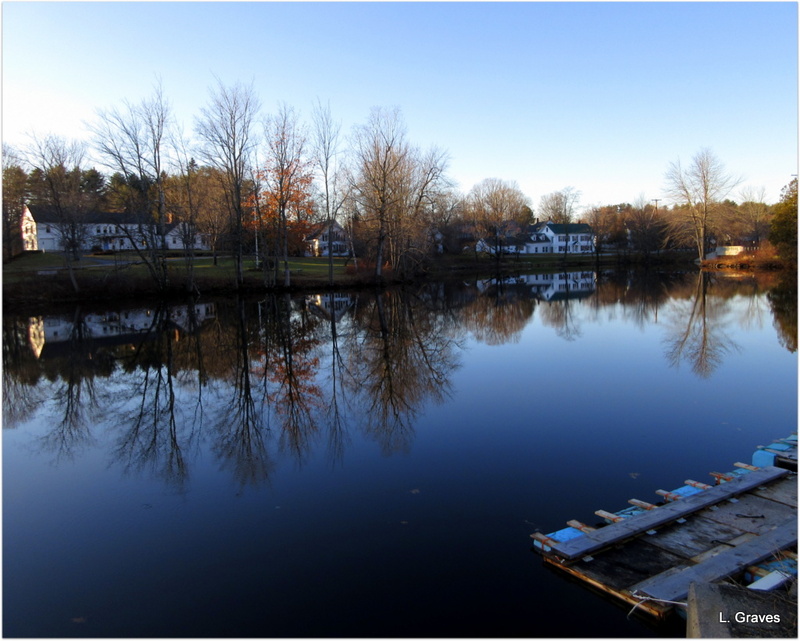 I always look at the houses around the millpond with a longing to live there. Lovely pictures. Now I want to visit that general store and get that bite to eat. After the holidays? Bring your camera. Yes! I’ll make that a New Year’s resolution. 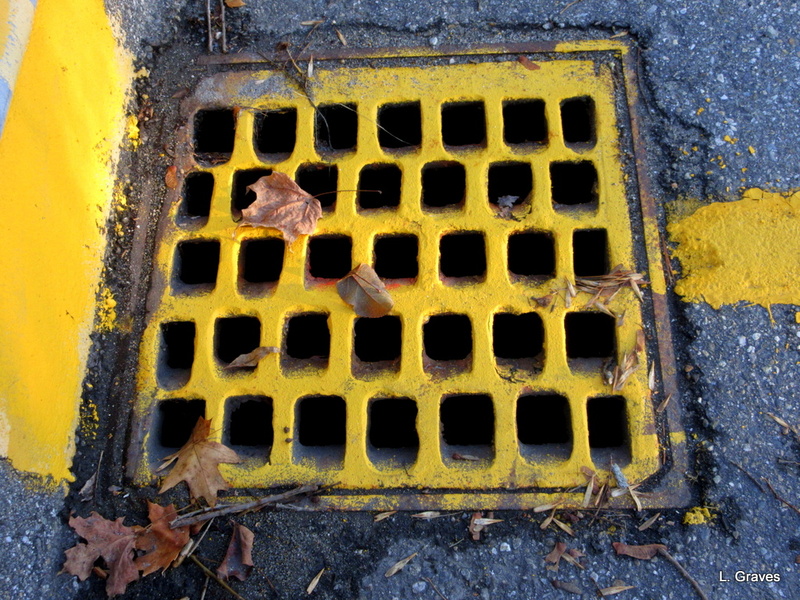 I was very pleased to see your drain in Wayne, Maine, especially as with its fine yellow paint. it wasn’t at all a plain drain in Wayne. The rain in Wayne, Maine, runs quickly down the drain? I think I’ve got it! I think she’s got it!!! You certainly do! And we’ve had a lot of fun with that drain, that’s for sure. A lovely town with so much spirit. I’m with Kerry, in being transported to My Fair Lady, except the version in my head is: the drain in Wayne is Mainely on the lane. Tee-hee! We’ve had a lot of fun with that drain in Wayne, Maine. I can’t stop laughing! Hooray for silliness and three cheers for pretty villages! A bit of silliness does the heart a lot of good.